Your opinion counts! 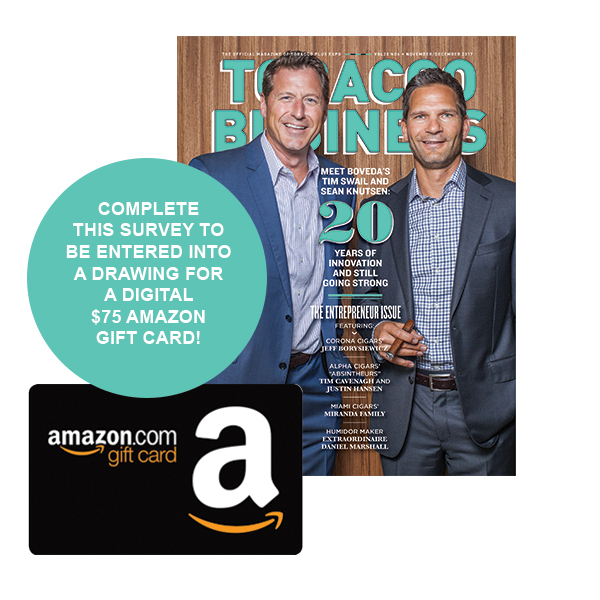 Take the 2018 Tobacco Business Reader Survey and help us make our magazine and website even better. Complete the survey and provide us with your name and email to be entered into a drawing for a $75 Amazon digital gift certificate. The survey will be open from April 11-August 31, 2018.